PRATTVILLE, AL (WSFA) - Sunday morning there will be music, praying and preaching the ‘word’ in all churches with pastors casting a glance towards the heavens. “I’ve always been concerned if there was a storm outside and I hear the lightning and the rain," said First Baptist Church Pastor Dr. Travis Coleman. Coleman has been down this road before. In 30 years at First Baptist Church in Prattville, Coleman had to cancel services twice because of weather threats. “We’ve already got our security team in place," said Coleman. No plans to cancel services on Sunday, although Coleman strongly encourages his parishioners to watch the weather and make a decision from there. “If there are warnings, of course we want them to stay home. If it’s only alerts, we encourage them come," said Coleman. “If it’s dangerous, obviously we don’t want people to get hurt," said Catholic priest Father James Dean. Dean echoed the National Weather Service’s sentiments to church members on Facebook Friday. Mindful of what could be a rough Sunday morning, but again, no plans to cancel Masses at St. Joseph Catholic Church. “Fortunately, as Catholics, we have Vigil Mass on Saturday night and I encourage everyone who could, and they’re concerned about the weather, to come to Vigil Mass on Saturday night," said Father Dean. At the First United Methodist Church, senior pastor Tony McCullough says they have a plan in the place, and should the windows begin to rattle in the sanctuary, safe rooms nearby in the church are ready. “We understand the severity of the warnings and how important those are," said McCullough. We are 48 hours away from something happening on Sunday, but that’s not stopping music practice or church members sprucing up the gardens for Palm Sunday. Church pastors say it comes down to this; with a little faith, common sense and sound judgement, everyone should be in good hands Sunday morning. 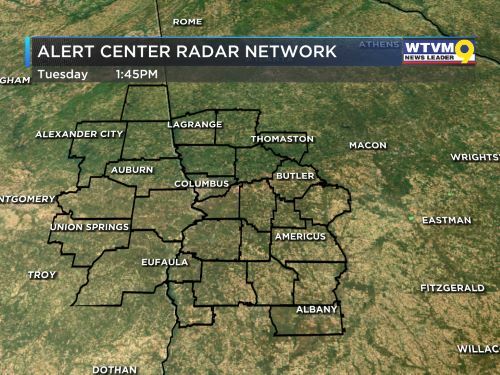 Be sure to stay tuned to WSFA 12 News throughout the weekend for the very latest in weather developments and your WSFA Weather app.